I bought the 7" single of 'On the air tonight' not long after its release, but I never even saw the 12" single before I bought this one. It was my first (and last) opportunity, and I took it. The extended version of 'On the air tonight' is not spectacular, but it does add something to the track that isn't there on the 7" version - mostly an extra instrumental part. 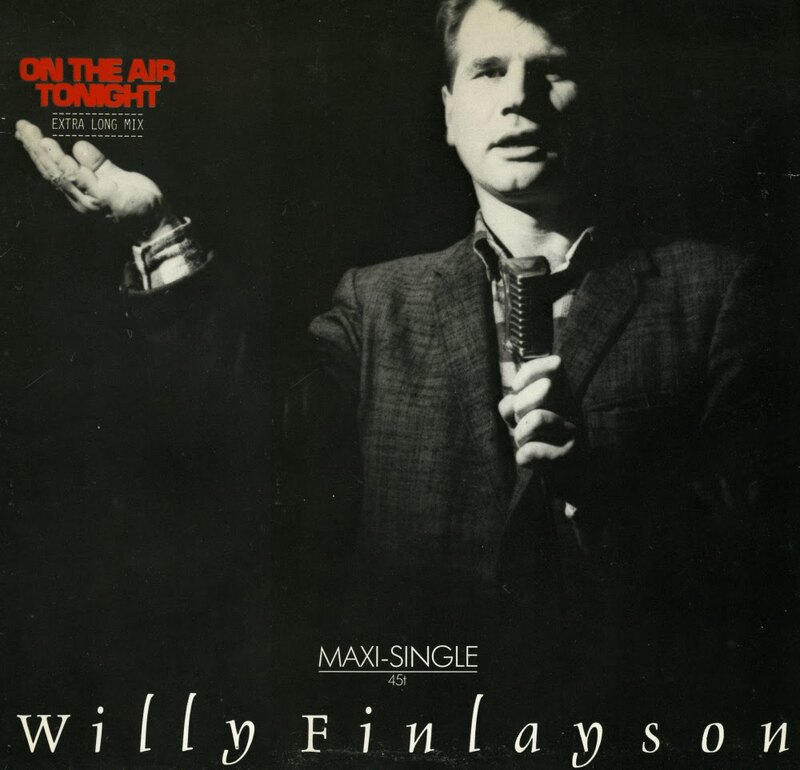 Willy Finlayson never had a hit, despite the fact that this particular track is actually quite beautiful. Tori Amos' debut album 'Y Kant Tori Read', released before she hit the big time with 'Little earthquakes', contained an instrumental excerpt of 'The Skye Boat song', a Scottish traditional from the 19th century. Since I liked the melody, I was quite curious when I found this single, on which the traditional is performed by Willy Finlayson. Remember him? 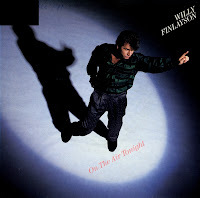 He also recorded 'On the air tonight' in 1985. 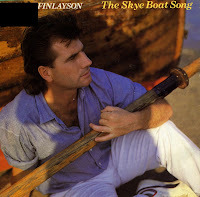 Finlayson's solo career has been short: none of his singles reached the UK singles chart and no other singles of his are known. 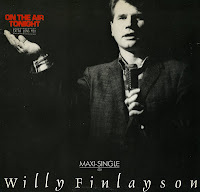 Willy Finlayson is a singer from Scotland who first came to London in the late 60's with Scottish Soul band The Writing On The Wall. He went on to become a core member of the band Meal Ticket and Bees make Honey. Willy then formed his own band The Hurters with Micky Moody, Matt Cheadle, Nigel Portman Smith and Alan Coulter. This band ran parallel with a solo career that spawned the top 20 hit and video with Pete Barden's 'On the air tonight'. Released in 1985, I picked up the track from a local radio station that played the song regularly, despite it not becoming a hit in the Netherlands.